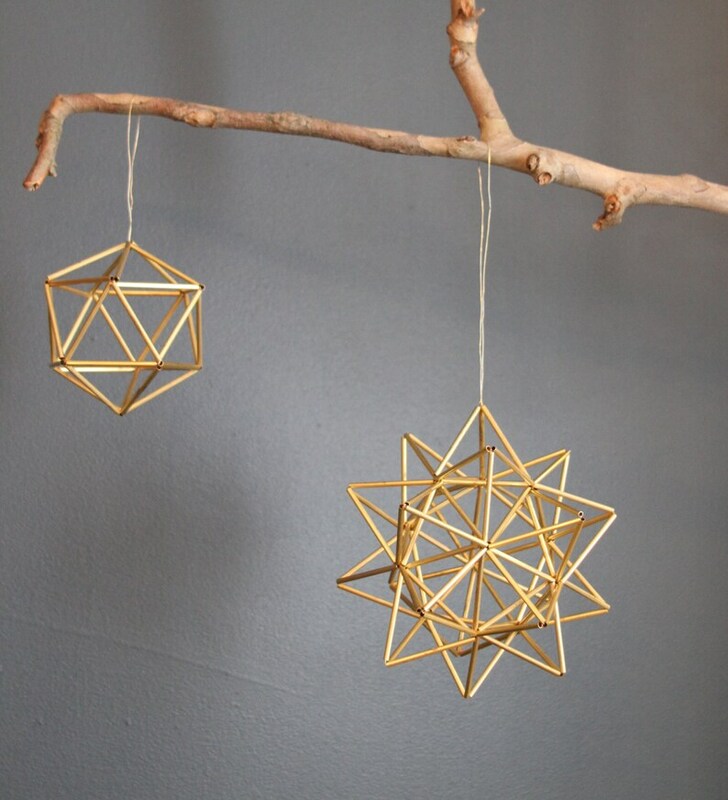 These brass "pollen balls" are my modern take on Scandinavian himmeli mobiles. They are delicate yet substantial pieces. Hang alone or together, in a baby's room or at a wedding. Their silhouette constantly shift as it spins while casting intriguing shadows that will help your baby (or you) drift off to sleep. Made with 150 pieces of brass equaling over 25 FEET of brass. Please specify whether you would like a metal loop for hanging or no hook if you will just be putting it on a shelf. Brass will age over time. If you do not like this look, clean with soap and water.